A superb boxed gift set of silver plated desk accessories including stapler, staple remover and pencil sharpener. 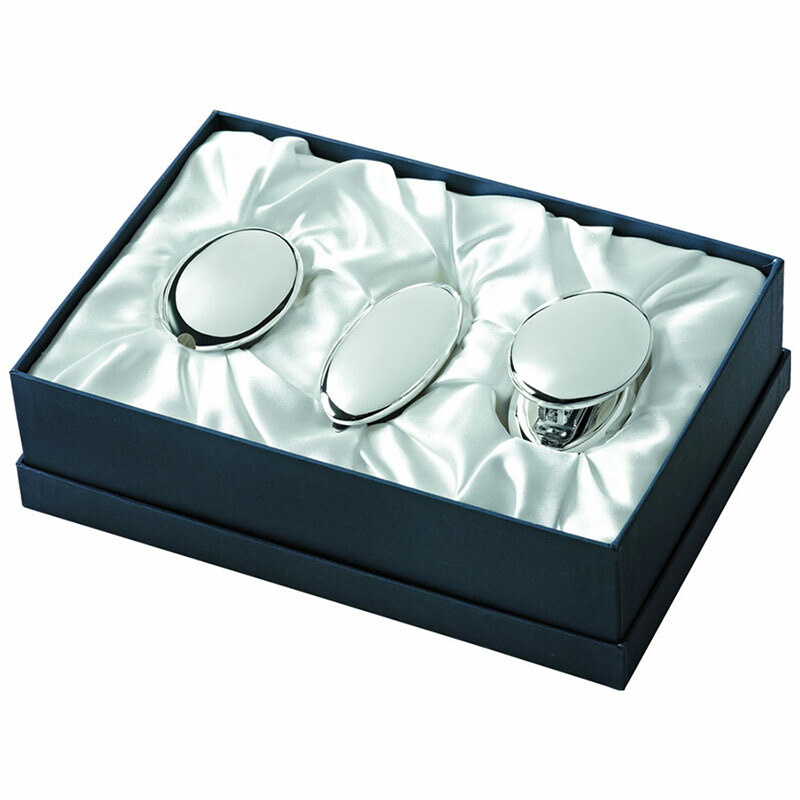 These gift sets feature an attractive, fully lined presentation case and represent outstanding value for money as executive or corporate gifts, as employee incentive awards, or as branded merchandise. They are offered with bulk order discounts (see price matrix, above), free engraving and low fixed price UK delivery.